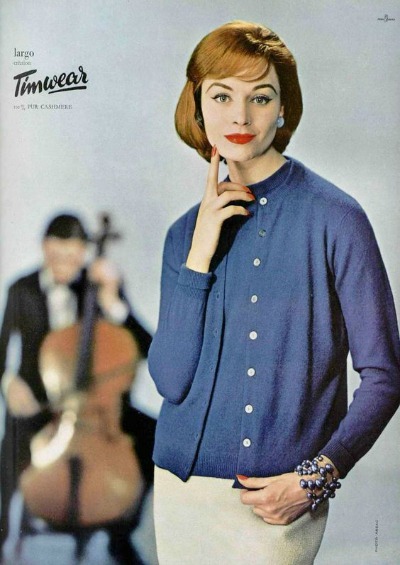 A timeless fifties' fashion staple is the classic sweater set. 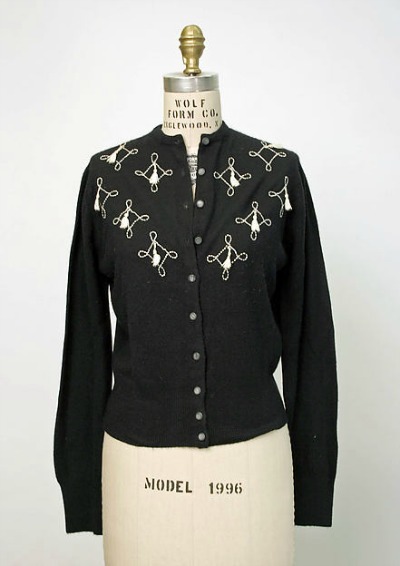 Sometimes called a twinset, the sweaters were frequently worn in the women's workplace. 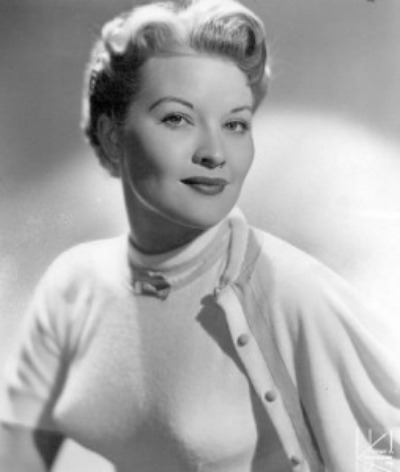 They were also seen on televisions programs and advertisements depicting the typical fifties' housewife duties. 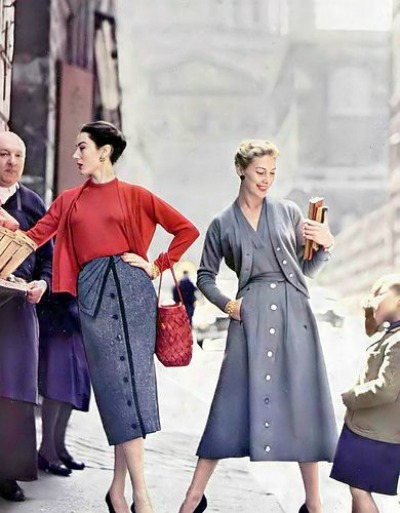 Although the cardigan has been around since the 19th century, it was not until French fashion designer Coco Chanel paired a long jersey knit sweater with a jumper that the idea of a twinset was created. 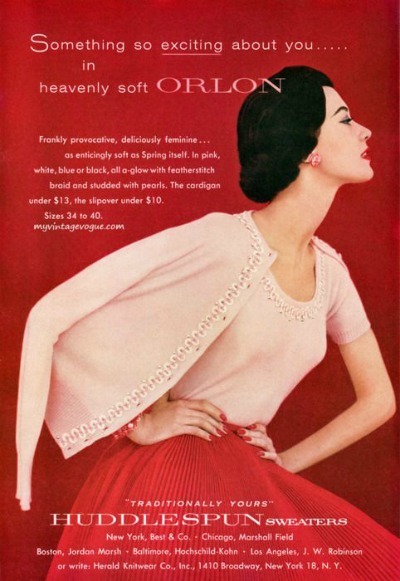 Traditionally knit with fibers such as cashmere wool, synthetic acrylics trademarked by DuPont as Orlon became popular in the fifties. 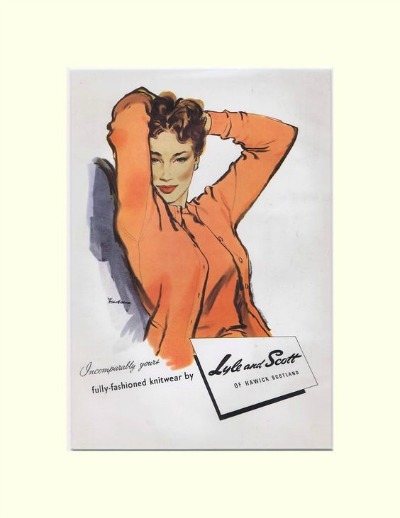 The term "sweater girl" was promoted in the 1940's and 1950's to describe Hollywood actresses who wore a tight fitting sweater and a bullet bra. While quite the fad, this sweater set was viewed by many as too provocative. To add a little polish, pearls were frequently worn with a twinset. 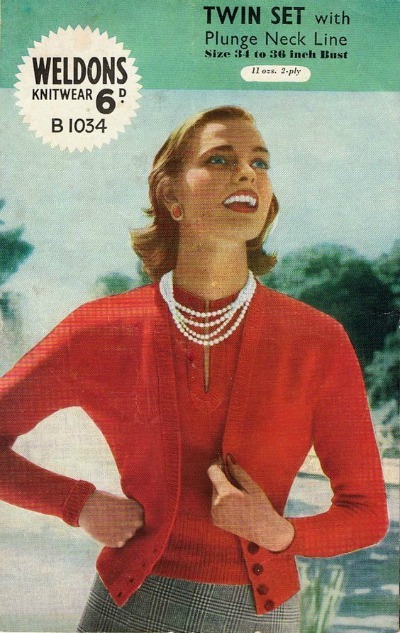 Sweater sets were also a popular home knitting project. 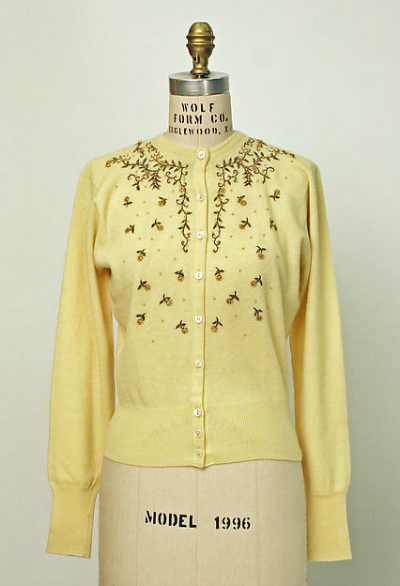 Beads, sequins, and embroidery added detailing to these sweet sweater sets.